Dissolves carbon deposits, gums & varnish build up. Quickly cleans EGR valve, air intake system, manifold & inlet valves. Restores air flow to engine improving power & acceleration, reducing exhaust smoke. 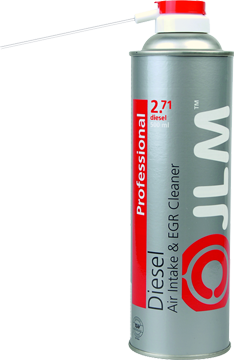 JLM Diesel Air Intake & EGR Cleaner (J02710) cleans and protects components in the intake system such as the intake manifold, the EGR valve and intake valves, which are affected by exhaust gas recirculation in the form of soot and other deposits and put an end to irregular idling and cutting out.